Dylan's second double-album was a death-blow to his old fans from the 1960s. It is a collection of outtakes and live recordings, an "official bootleg" somehow. Often referred to as "Dylan's worst album" it received extremely poor reviews upon its release, but still went gold in the US. 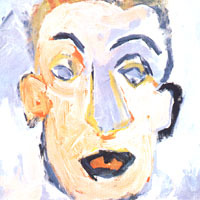 Neither the songs nor the cover illustration actually represent any kind of "self portrait", according to Dylan it was "just a joke".